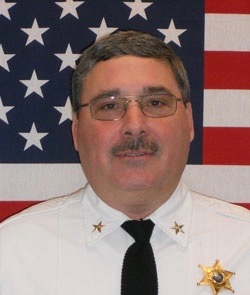 Sheriff Cutting began his career with the Chenango County Sheriff’s Office on January 1, 1987. He has risen through the ranks in the office, holding the positions of Deputy, Sergeant, Lieutenant, Jail Administrator and Undersheriff. Sheriff Cutting was appointed to the position of Sheriff in June 2009 upon the retirement of former Sheriff Thomas Loughren. He was elected to a full four-year term in November 2009. Sheriff Cutting has received numerous awards, notably the NYS Deputy Sheriff’s “Officer of the Year Award” for disarming an emotionally disturbed man committing an armed robbery in a restaurant in Chenango County.